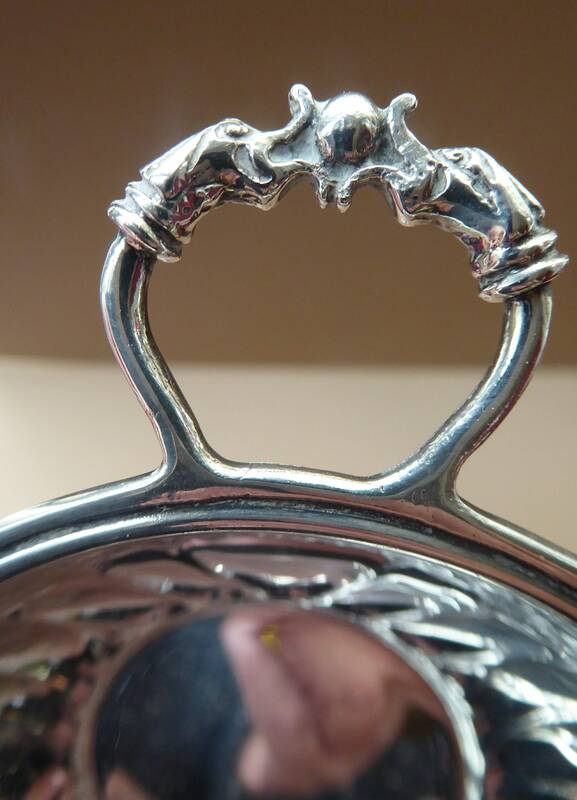 This is a cute gift for a bon viveur or wine buff. 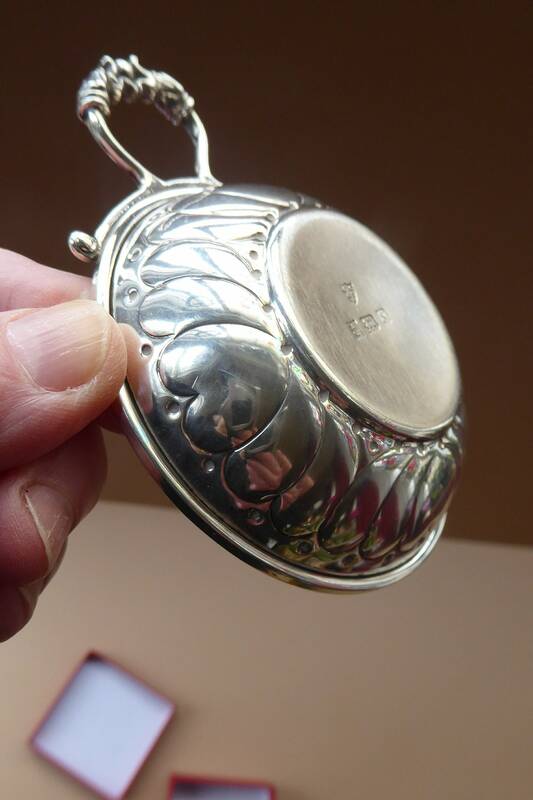 It is a sweet hallmarked silver tastevin. 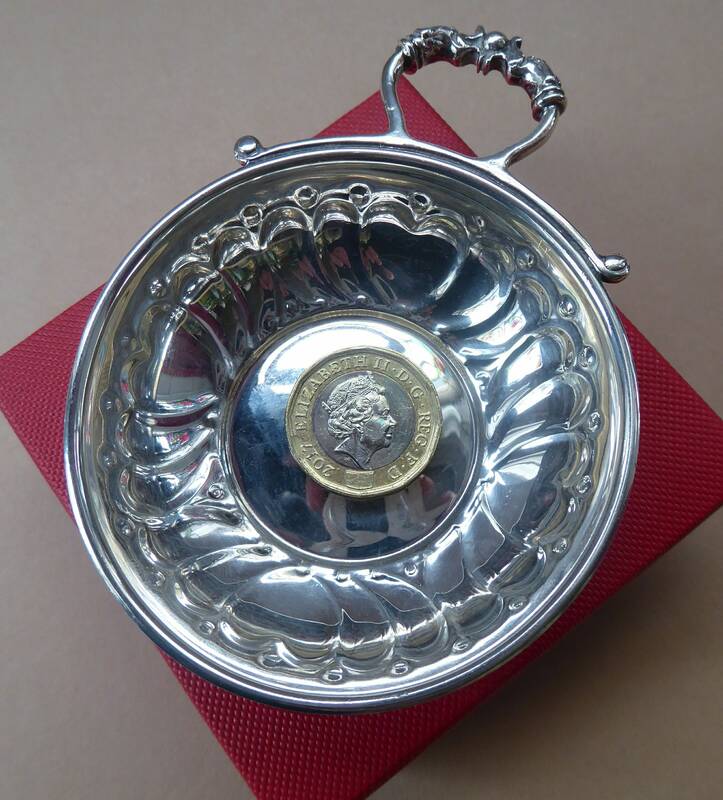 This is a little silver cup or saucer used by wine waiters or connoisseurs to judge the maturity and quality of wine - and allows you to take a little sip of the contents of a bottle which is to follow (hopefully). 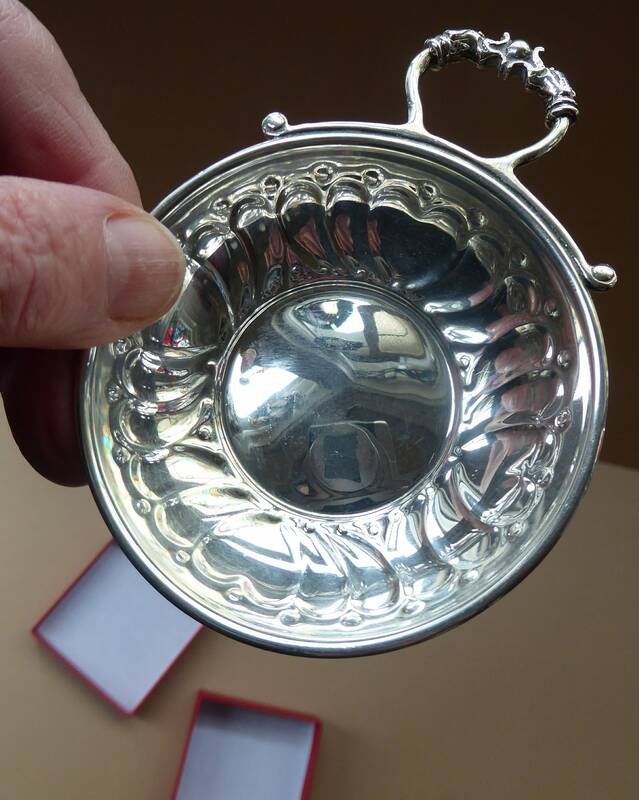 These cups are traditionally made of shiny metal - usually silver. This would enable you to more easily judge the clarity and colour of the liquid in wine cellars - when the only available light would have been from a candle. 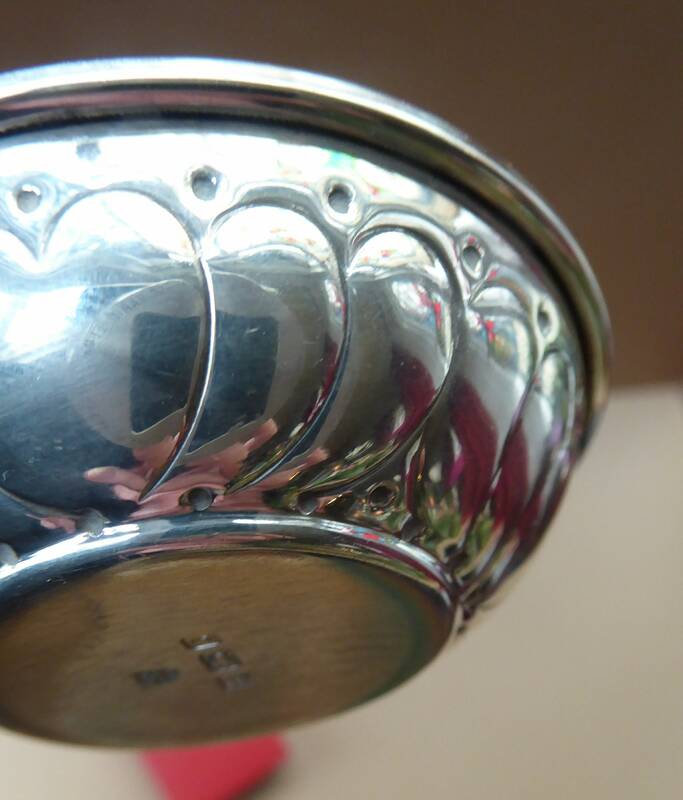 The cups usually had facets or decoration to reflect as much light as possible. Today - the advent of electric lighting has made them somewhat redundant - but you can often see them hung on a little chain around the neck of wine waiters in fancy hotels. They are often used to sample wines at wine tasting events - or just when you are being flash at formal dining events! Today, a wine tasting cup would mostly be used by a Sommelier and, just in case your French is a bit rusty, a Sommelier is a wine waiter. 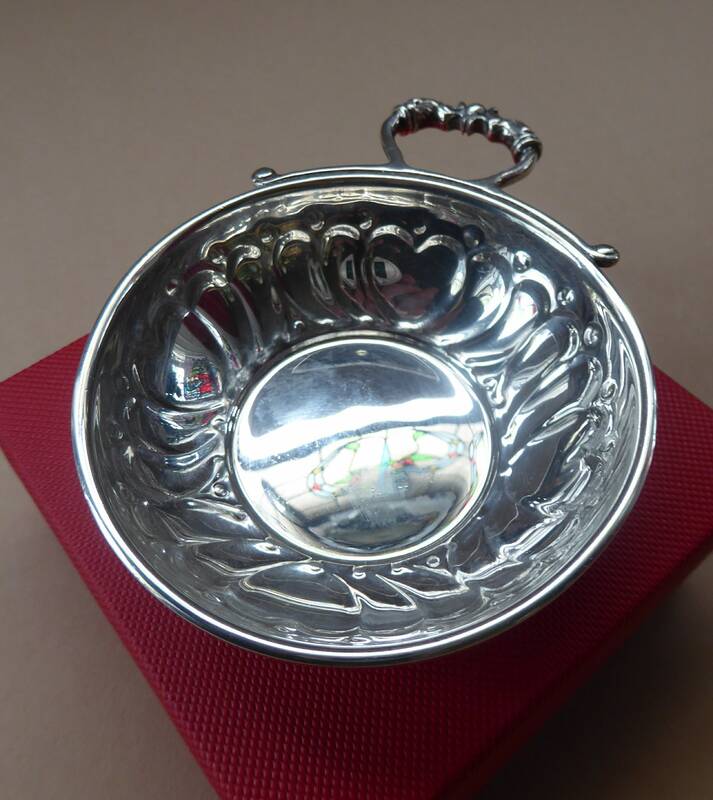 A Tastevin is a small, shallow, silver cup which was used by winemakers and wine waiters to judge the maturity, the quality and the taste of a wine. 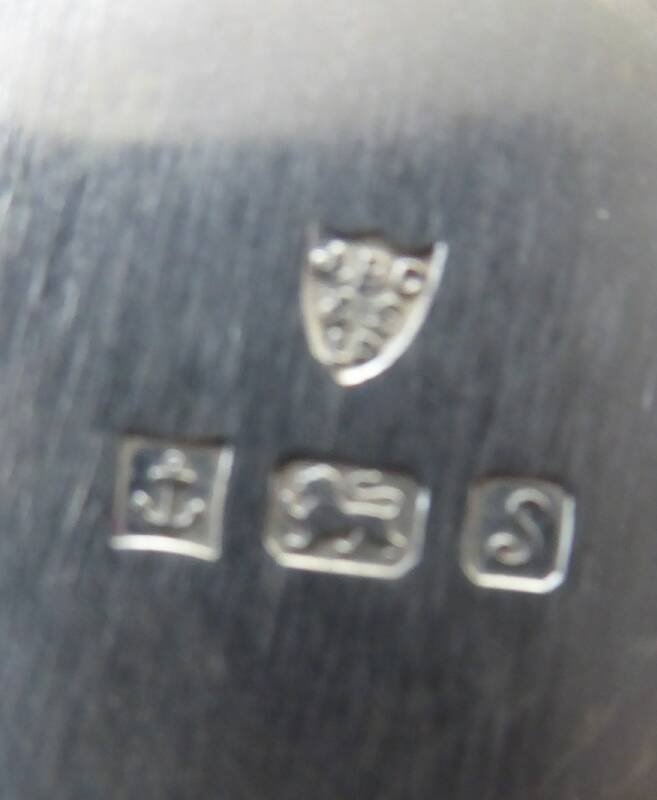 This little taste van has a Birmingham hallmark for 1992 on the base of the bowl - and the maker's mark for JB Chatterley & Sons Ltd. 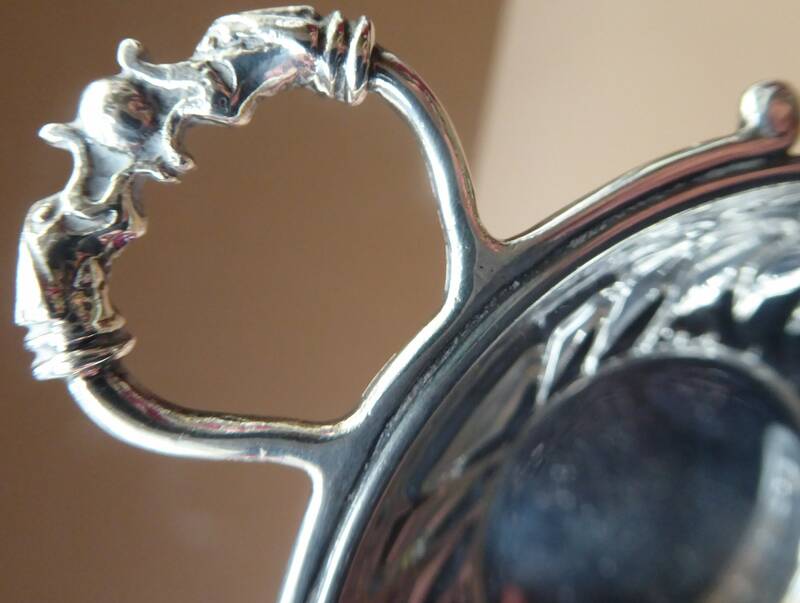 It is a lovely example - the bottom of the bowl decorated all over with a frieze of hearts and dots. The handle is made up of two confronted serpents or snakes... and you can hang a little ribbon through the handle to wear around your neck. 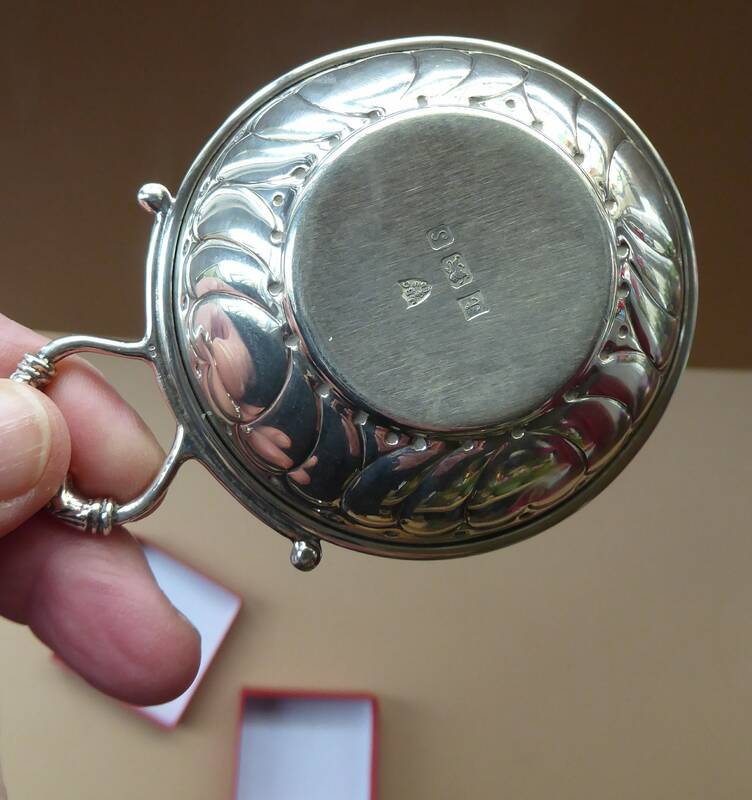 It is in good vintage condition with a nice clear hallmark. No dents, dings, scratches or inscriptions. Dimensions: diameter of the bowl is just under 3 inches. 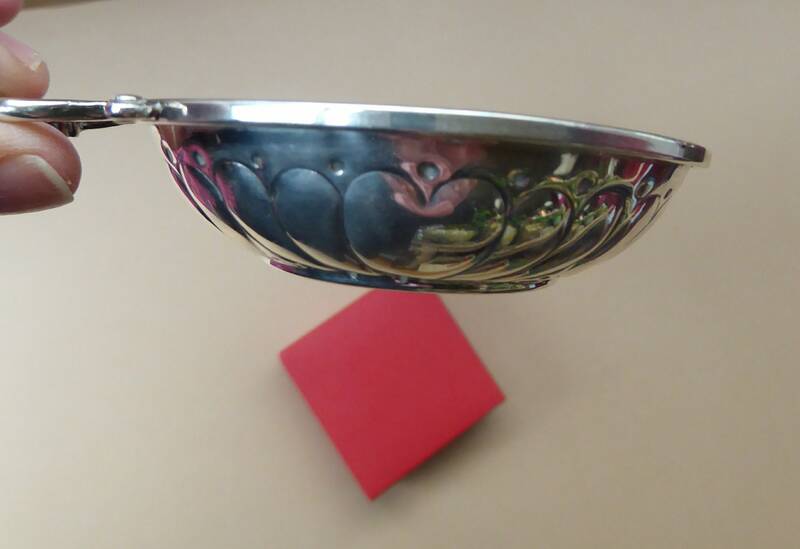 Handle to the edge of the bowl is just over 3 3/4 inches. Height or depth is just over 3/4 inch.